My 17-month old daughter in her owl costume. 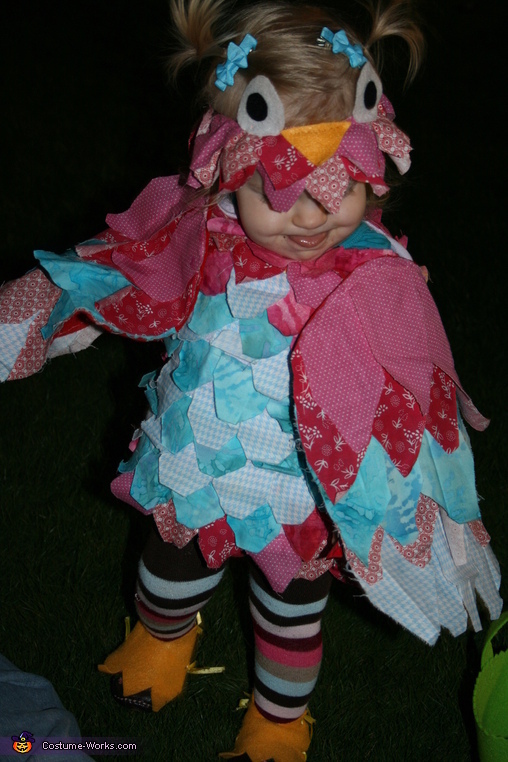 I re-purposed an old dress of hers by sewing patches of fabric, as feathers. Using felt, I cut feet and tied them on with yellow ribbon. I used one of her old head bands to sew more "feathers", a felt beak, and felt eyes.